* Multiple parameter measurement: Ra, Rz, Rq, Rt. * Four wave filtering methods : RC, PC-RC, GAUSS and D-P.
* Can memorize 7 groups of measurement results and measuring conditions for later use or download to PC. 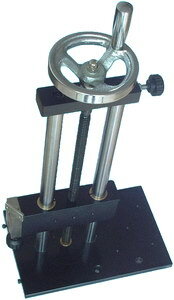 Widely used in construction site to measure surface roughness of concrete. 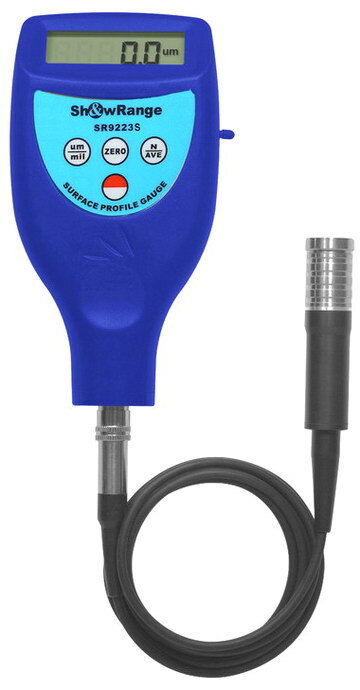 * This Digital Surface Profile Gauge is a handheld gauge for fast and accurate measurement of the peak-to-valley height of the surface profile of blast cleaned surfaces. * It meets the standards of ASTM D 4417-B, IMO MSC.215(82), SANS 5772, US Navy NSI 009-32, US Navy PPI 63101-000. Suitable for the laboratory and for use in harsh field conditions. Accurate, immediate and repeatable results. * The tungsten carbide tip will last for up to 20,000 readings and can then be easily replaced by the user in the field. * Cost per test is significantly lower than other test methods. * Used the exclusive Micro -computer LSI circuit and crystal time base to offer high accuracy measurement. * Can communicate with PC for recording, printing and analyzing by the optional software and cable for RS232 interface. USB adaptor and Bluetooth interface can also be used. * Widely used in field of blast cleaned surface measurement. If the profile is too large the amount of coating required to ensure adequate coverage increases, otherwise there is a danger that the peaks remain uncoated - allowing rust spots to occur. If the profile is too small, there maybe an insufficient key to produce adequate adhesion, leading to premature coating failure . Ensuring the correct surface preparation optimises the performance of the coating and material usage. v Calibration samples is made of high precision optical glass,wihch is identified by National Institute of measurement. Because it is not easy to scratch ,so they are high precision and long service life. v Manual calibration, easy to operate. v There is protection door to protect the sensor probe effectively, and make sure the high accuracy. v Shape used to pull aluminum mold design, durable, anti-electromagnetic interference ability significantly, in line with the design of the new trend. v Using high-speed DSP processor for data processing and calculation, measurement and computation speed is greatly improved. v Liquid crystal display wide temperature using OLED color display, popular high brightness, no visual angle,, is suitable for various occasions. v The lithium ion rechargeable battery, can work for a long time, no memory effect, can while charging, charging time is short, long battery life. v Charging using the common USB interface. Using a dedicated charger or computer USB port for charging, convenient and quick. v Dot matrix liquid crystal display, interface prompt information rich. v Real-time monitoring of lithium battery power and display, and to remind users to charge with charging progress indication. v Automatic shutdown function and low power design of software and hardware of the instrument with long working hours, suitable for field use. 5.Optimized electric circuit design with transducer structure-design,high integrate power, driver and display. 6.Select freely with Ra,Rz, Rq, Rt parameters, high precision, high performance, high quality and value. also can measure the length and width greater than the groove of 80 x 30mm. 1.Electromechanical integration design, metal shell, antimagnetic and Anti-interference, small volume, light weight, easy to use; High precision, Accuracy:0.001, can measure 13 parameters,According to software design, we have solved the existing problem of moter stuck circuit and improved service life. 11.Large capacity data memory, can store 100 groups of original data and waveform. 16.Full metal shell design, sturdy, compact, portable, high reliability. No vibration, no corrosive medium in the nearby working environment. 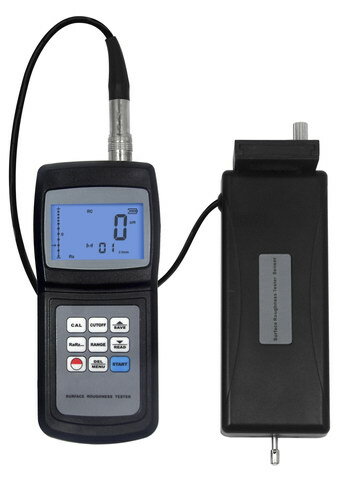 SRK210 portable roughness measuring instrument is a new product , it is a portable stylus surface roughness shape measuring instrument, applicable to the workshop testing station, laboratory, metrology room environmental detection; also used in metal and nonmetal workpiece, the manufacture of mechanical working, inspection and other departments; Besides, this professional Surface Roughness Gauge also can detecting plane, curved surface, inner hole, groove and other complex workpiece. Measurement of parameters in line with international standards of the United States, Germany, Japan and is compatible with Britain and other industrial developed country standards. 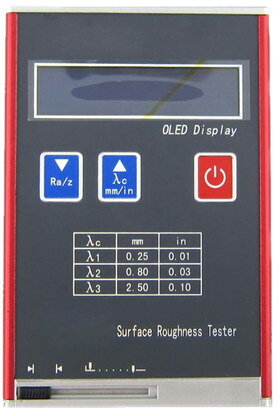 Measurement results can be digital and graphic LCD display, also can be output to the printer. Rt, Rp, Rv, R3z, R3y,RzJIS, Rsk, Rku, Rsm, Rmr.